The San Luis Valley is located in Southern Colorado and is one of the largest high desert valleys in the world. It is situated between the Sangre de Cristo mountain range on the east and the San Juan mountain range on the west. The valley is about the size of Connecticut extending 125 miles long and 65 miles wide with an altitude of over 7,000 feet. It sits on top of the Rio Grande Rift, and the main river is the Rio Grande. Temperatures range from a mild mid 80’s in the summer to a cold of a minus 35 below zero in the winter. The Valley is considered a desert averaging less than six inches of rain a year. There is a water aquifer under the Valley floor which provides water for the main resource which is farming. Native Americans had visited the San Luis Valley over 11,000 years ago as a place to gather and hunt. The Ute Native Americans were more recent Native American visitors and they called the area home for many years until settlers began moving into the Valley. The arrival of settlers forced the Ute Native Americans onto reservations. 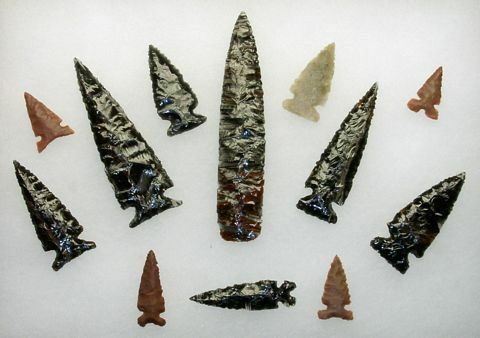 Many museums have extensive collections of arrowheads and other Native American made objects. Colorado Native Americans used tree bark for various uses such as medicine and food. The scarring from the bark removal can still be seen on approximately 100 trees which are located in the Great Sand Dunes National Park. In the 1500s Spain claimed the area but clashes with Native Americans left the area unsettled for many years. It wasn’t until the early 1840s that the area began to be settled. Pioneers from New Mexico began to settle in the southern end of the Valley. To help protect these settlers and encourage more, Fort Massachusetts was built in 1852. It was located near the present day Fort Garland. When gold and silver was discovered in the San Juan Mountains there was a large population growth to the area. 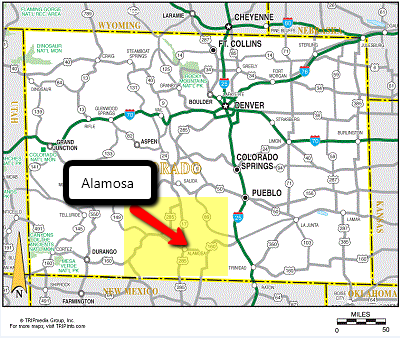 Only two years after Colorado became a state the first railroad reached what is today the city of Alamosa. 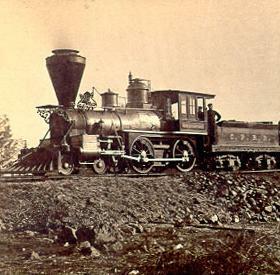 This allowed Alamosa to become the railroad hub for the Valley. New immigrants continued to move to the area due to the rich soil for farming and ranching. In the early 1870s large Mormon communities were established. At the end of the nineteenth century Dutch settlers had began to call the Valley home. There were also Japanese settlers to the area. Today there are still new immigrants moving to the San Luis Valley as Amish and Mennonite communities are growing. Farming is the lifeblood of the San Luis Valley economy. With a short growing season the main crops are potatoes, barley, and alfalfa. Smaller areas of lettuce, carrots, canola, and mushrooms are also grown. There are also many ranches raising beef cattle and sheep. 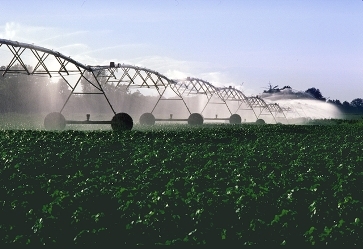 Most of the crop land is irrigated with large center pivot irrigation systems which draw water from the deep underground aquifers. The soil on the valley floor varies from sandy to rocky as you move from east to west. On the western side of the San Luis Valley you may notice large piles of rocks in the corners of fields. This is called potato rock as it is removed from the soil to make farming easier. Any land that is not farmed or grazed is covered in “chico” which is low brush such as rabbitbrush or greasewood. It is unclear what the future may bring. The San Luis Valley has been experiencing droughts for the past several years. With low snowpack in the mountains there is less water for the farmer’s crops. Water is the life of farming and without water this area could not exist. It is uncertain what the future will bring in regards to water, farming, and the people that call the Valley home. Whatever does happen, this area is a beautiful place to live and visit. 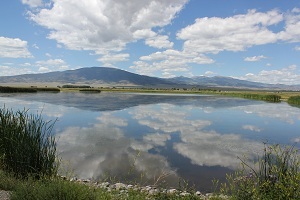 With so many natural wonders, outdoor trails, and wildlife people will continue to be drawn to the San Luis Valley! !